Paper Crafts by Candace: Hot Diggity Dog!! Today I'm sharing a Birthday card that I made for my friend at work. This cute Jack Russell Terrier dog is from SVG Cutting Files! The sentiment is from Jaded Blossom's Puppy Love. The twine is Trendy Twine's Twisted Teal. I really like this card! He's sooo cute! LOVE this - what an adorable little pup! This totally made me smile all inside! What a sweet card! Love it! This is adorable!! 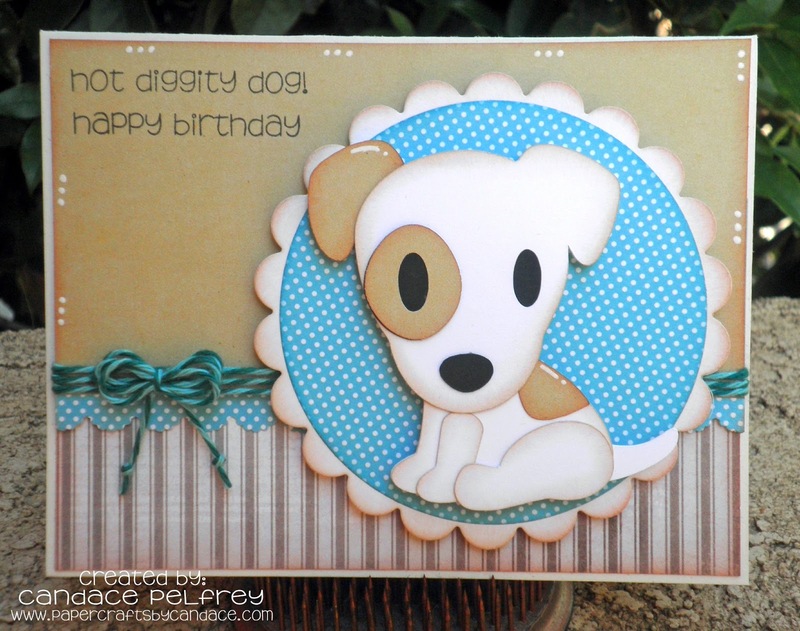 I love the puppy and the layout of your card!